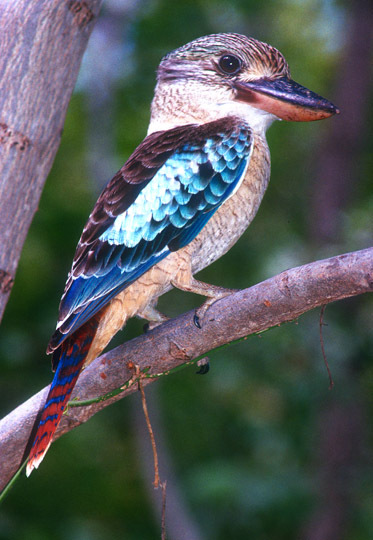 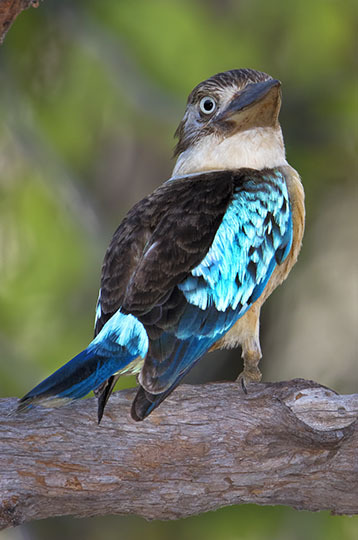 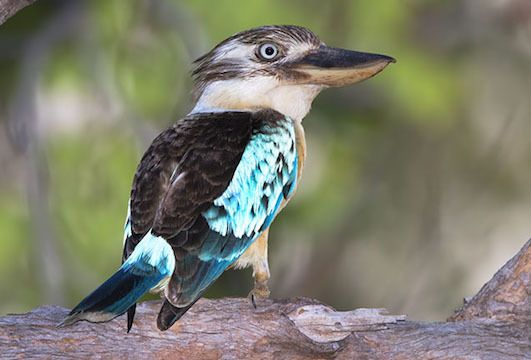 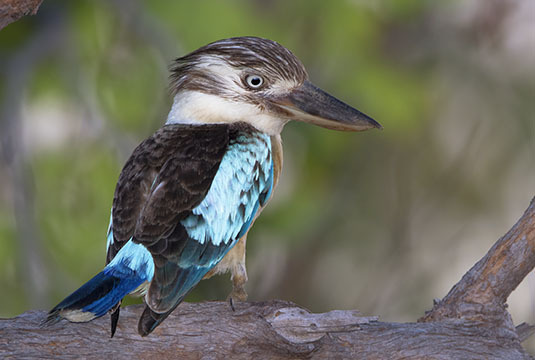 Two kinds of kookaburras live in Australia, the familiar laughing kookaburra (whose loud call is heard on nearly every jungle-themed movie ever filmed although it is not a rainforest species) and the blue-winged kookaburra shown here. 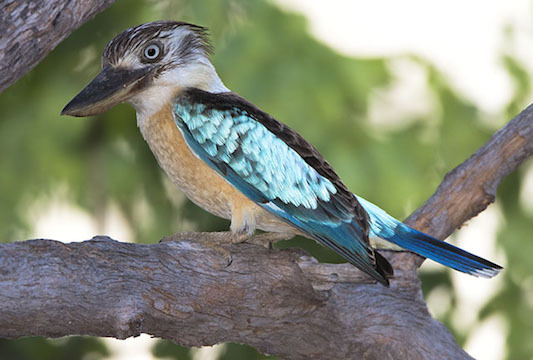 Both are huge kingfishers (the biggest in the world). 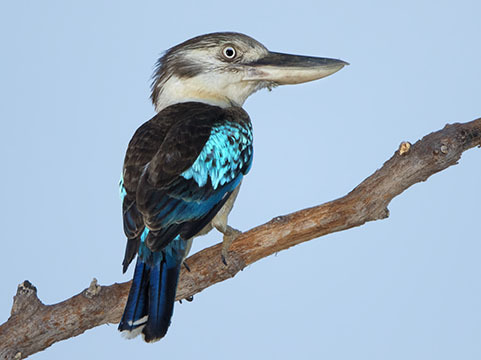 The blue-wing is a northern species with an amazing voice described by one field guide as 'appalling, like a machine-driven hacksaw'; another describes it as 'extended maniac laughter'. 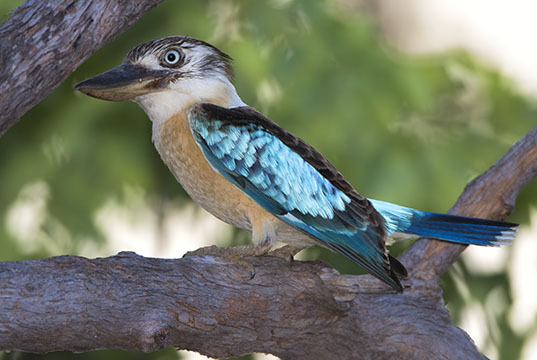 These birds were in Kakadu Park and the campground at Edith Falls National Park, both in the Northern Territory.